Royalty-free stock illustration of a Japanese samurai wearing light cloth and slowly pulling his Katana sword out of its sheath while kneeling and looking serious. 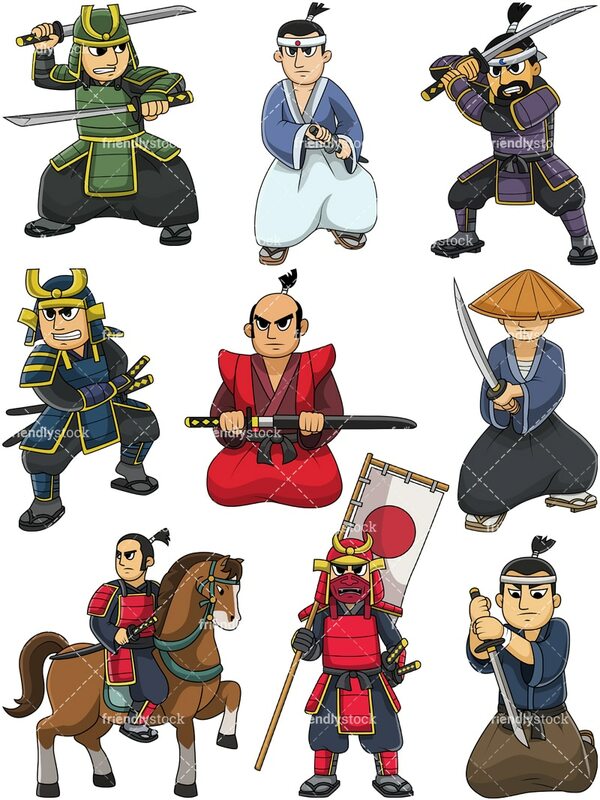 Royalty-free stock illustration of a Japanese samurai wearing light cloth and grabbing his katana sword from the handle while standing on guard, looking ready to attack if provoked. Royalty-free stock illustration of a Japanese samurai wearing traditional clothing and performing harakiri with his katana sword in order to regain his lost honor. Royalty-free stock illustration of a Japanese samurai in full battle armor reaching out and grabbing his swords in order to launch an attack, looking angry. 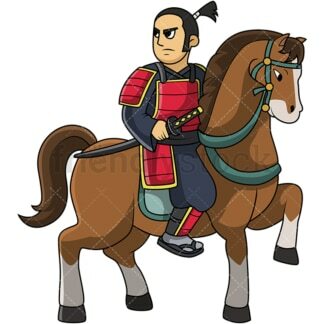 Royalty-free stock illustration of a Japanese samurai in traditional battle armor riding a noble horse while holding a scabbard with his katana sword in it. 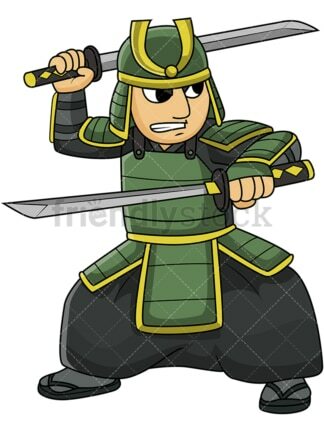 Royalty-free stock illustration of a Japanese samurai in green battle armor, holding two katana swords in attack position, looking irritated and ready to strike his opponents. 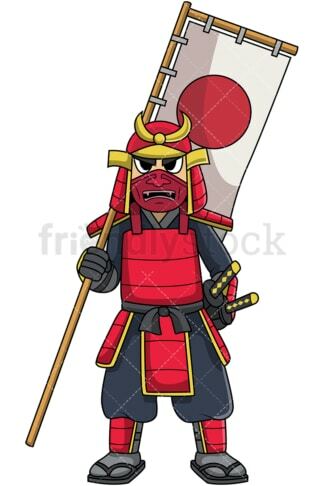 Royalty-free stock illustration of a Japanese samurai in red metal battle armor, with two katana swords, wearing a scary mask and holding a flag banner, ready to march into battle. 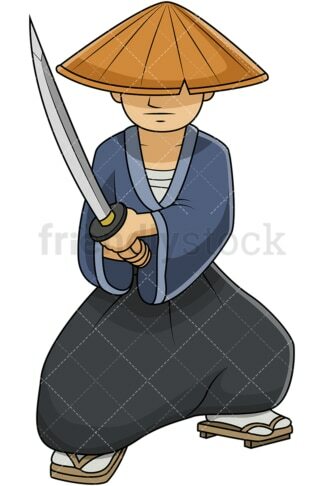 Royalty-free stock illustration of a Japanese samurai wearing a brimmed hat woven out of straw-like materials and holding a katana sword in front of him, ready to attack and strike down his opponents. Royalty-free stock illustration of a bearded Japanese samurai warrior in battle armor, swinging his katana sword to attack and strike down his enemies.